DESCRIPTION: Khadi fruit face pack is made from papaya juice, akhrot (walnut) oil, olive oil, orange extract, etc. It is useful for all types of skins. DIRECTION OF USE: Mix 5-10gms of the fruit face pack in milk or rose-water and apply on neck and face. Wash it with cold water after 5-10 minutes. INGREDIENTS: Papaya juice, akhrot oil, olive oil, orange extract, etc. COST: Rs. 90 for 50gms, Rs. 180 for 100gms. One amazing thing about this face pack is that it can be used in combination with anything and everything that you want! Water, milk, rose-water, yoghurt, honey, cucumber juice, tomato juice and aloe vera gel are just a few common examples… It can also be mixed with other powdered face packs or included in DIY recipes! I, personally, prefer using it with plain water or rose-water and 1 teaspoon of the powder makes enough paste to evenly coat the entire face and neck… The face pack does tingle a bit initially, but the sensation vanishes gradually as the pack tends to dry… It dries completely within 15 minutes of application and can be easily rinsed off with water! Also, I have an acne-prone, oily skin type, and the face pack never gave me any breakouts… Instead, quite a few times, I actually felt that it somewhat soothed (‘soothed’ and not healed or reduced) the live acne that was already present on my face! 1. Quite affordable and easily available online on Nykaa, Flipkart and Amazon! 2. Thoughtful, travel-friendly and reusable packaging! 4. 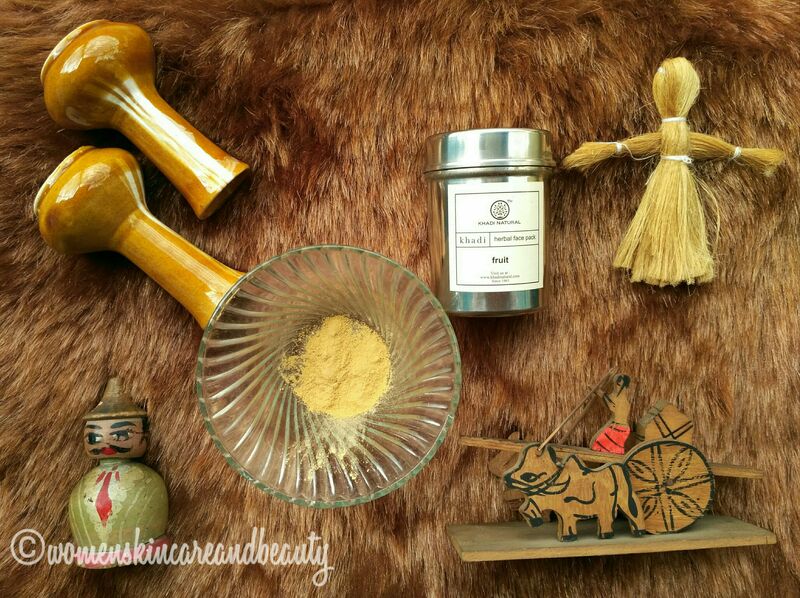 Comes in the form of a soft, fine powder; can be mixed with any solvent, according to the skin type! 5. Hardly takes 15 minutes to dry up completely; good choice when in a hurry! 6. Pulls out excess sebum/oil from the face and adds a very slight yellowish tinge to the skin, making the skin look matte and bright! 7. Doesn’t break out acne-prone skin types and might even calm down a few live acne present on the face, although the effects are very mild! 8. Adds a little hint (almost unnoticeable in a single glance) of glow to the face, immediately after use! 1. Tingles a little and has a moderately strong fragrance, so, it might make the people with sensitive skin and sensitive noses feel a little uncomfortable! 2. Complete ingredients list is absent! I used their face wash and quite like it. Love their natural formulation. 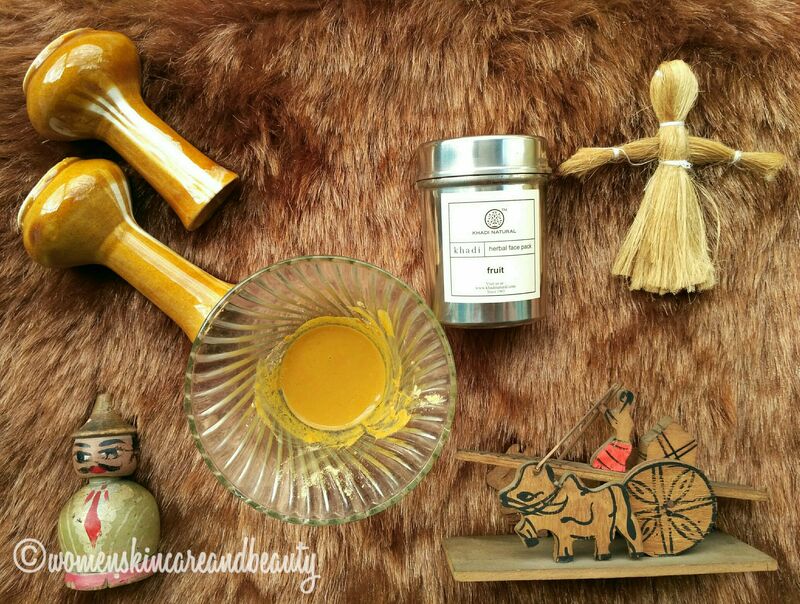 I have been using Khadi for a long time and simply adore the facepacks they offer. They have a strong name in the skin care market. I loved its neem and tulsi face pack.. Haven’t tried fruit one but given the review shared by you, I would love to try this one. I like natural ingredients based face packs. I am never comfortable with what the chemical might do to my skin. This sounds like a good product. Khadi is one brand I can trust blindly. I have tried their rose water and a few other products too. This face pack is just what I need to add in my skin care routine. I have never tried this brand’s product but heard that they are very good. I loved your straightforward review and hope to start with this product. Khadi you give me any product and I will accept its open arms. This brand is pure, aesthetic and natural. This fruit pack also seems a perfect product for sensitive skin. I can so relate to “soothing of acne” than healing. When pimples are raging crazy, anything that minimises the heat feels so good. Happy to learn this face pack does calm the breakouts! I find your post quite an interesting and informative read.? 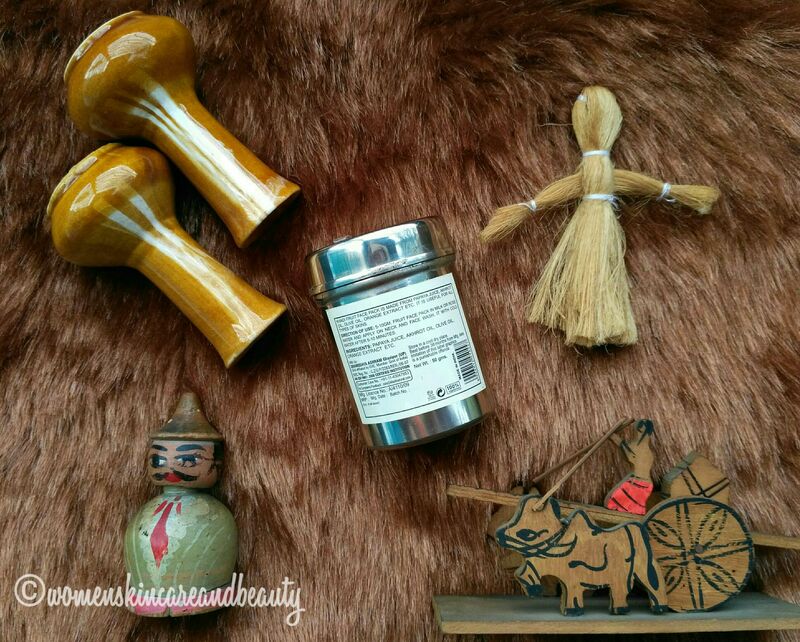 Some of the products of Khadi are really nice I am using the hair pack. I would love to try this face pack . 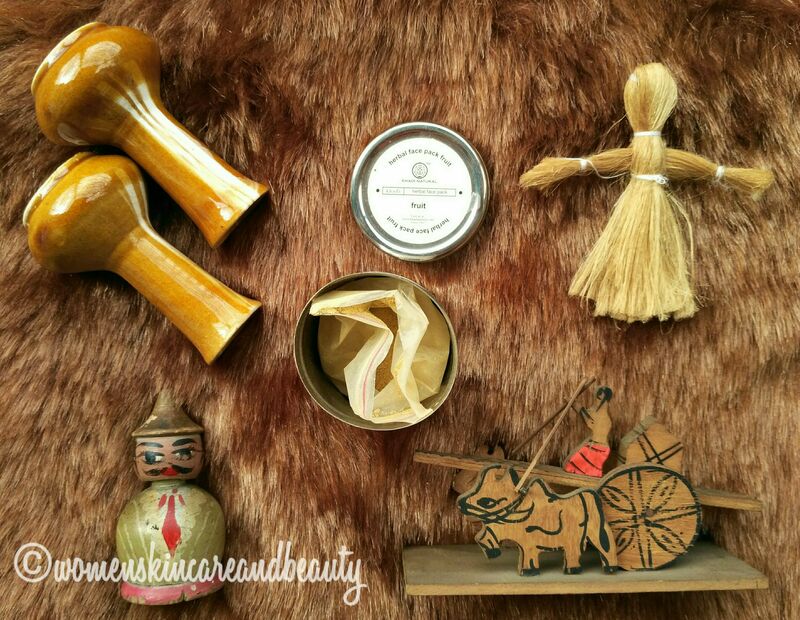 I have been using Khadi’s facial kit an dit is awesome. The way you describe the product is awesome mrinal. I had only tried one if their bar soaps in the past and loved it. I would really like to try more from the brand. 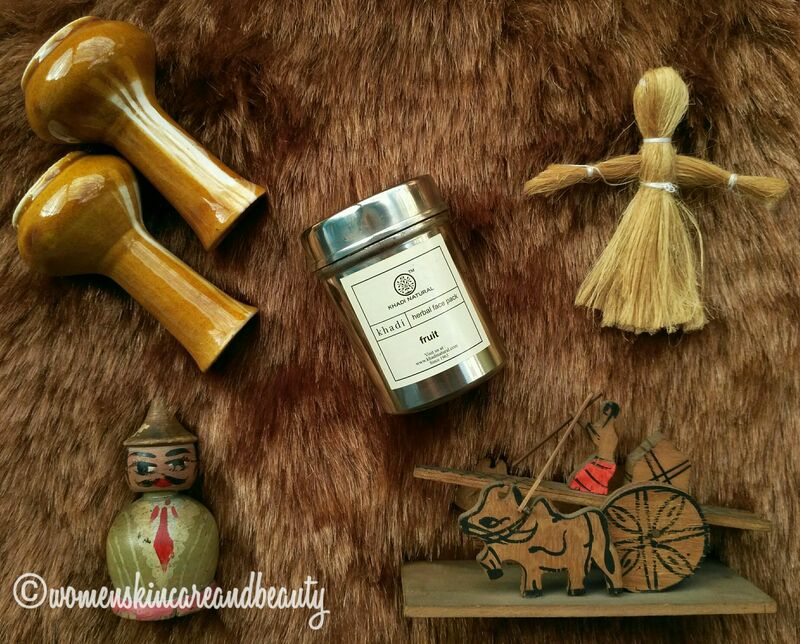 It’s such a lovely natural organic brand that more and more people should know about. An exhaustive and fair review dear but it looks a value for money option undoubtedly. I love khadi products will give these a try.. the fact that they are made from all things natural is enough for anybody to try them. This seems like the perfect product for you skin and the prices also seem very reasonable!